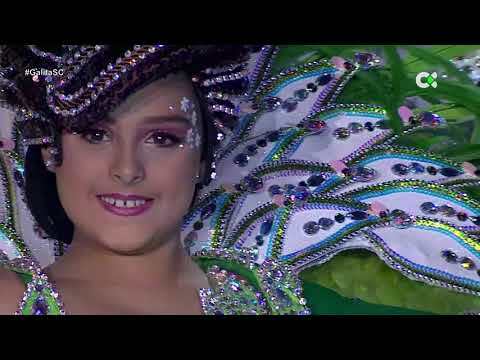 The craziest event of Carnival Monday in the Canary Islands - this year on Monday, February 12th - takes place on the neighbouring island of La Palma with Los Indianos, in Santa Cruz de La Palma. Cuban rhythms, dressing in white and tons (literally) of talcum powder are the order of the day, as you'll see in this video of the television coverage of the event last year. The fiesta of Los Indianos, in which everyone dresses in white - men preferably in the guayaberas (a.k.a. Beach wedding shirts) traditionally associated with Cuba, carrying their luggage - better yet if it is typical of the period; leather suitcases and trunks, maybe filled with Monopoly money - started off to poke fun at the emigrants returning from Cuba. At the start of the 20th Century, around seven ships a month left La Palma for La Habana (Havana). The emigrants they carried, having "made their fortune", arrived back home in La Palma ostentatiously showing off their wealth and finery. These fiestas, to the rhythm of Son Cubano, also enact a talcum powder battle in the city's streets. First mentioned in writing in 1867, by José Viera y Clavijo as "los polvos" (the powders), though the tradition itself is older than that. We have no idea why.